We specialize in Panels and automated equipment, Drives, PLCs, HMI, Database, Web, network and custom components. Radio Frequency Identification (RFID) is an emerging technology that allows you to identify and locate objects using radio waves. This technology has two parts: The RFID Tag and the RFID Reader. The tags are small and low cost, and can be applied directly to product packaging, name badges, tools, or other objects. As the tags move through your process environment, RFID Readers read the information stored on the tags, which identifies the item. Readers are typically dispersed through the plant or venue, and communicate over a standard Ethernet network. This technology is being used successfully in many different applications where objects (including people) need to be identified and tracked in a given environment. When RFID technology is combined with a database such as SQL Server, the application possibilities become endless. We can use it to find lost or misplaced items, manage inventory, track students at a training event or conference center, or identify all objects on a given pallet in your warehouse. Using RFID solutions from Siemens and other vendors, iQuest has successfully deployed numerous RFID applications using HMI and database technology. We are currently developing our Event Management solution that uses RFID to track attendance at large conventions and training events. Seriously, I think your support was absolutely essential to the success of our application. iQagent entered in GSMA's 18th Global Mobile Awards. 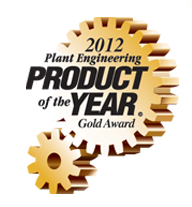 iQagent Awarded Finalist in Control Engineer's 2013 Engineering Excellence Award. © 2013 iquestcorp.com, inc. All rights reserved.